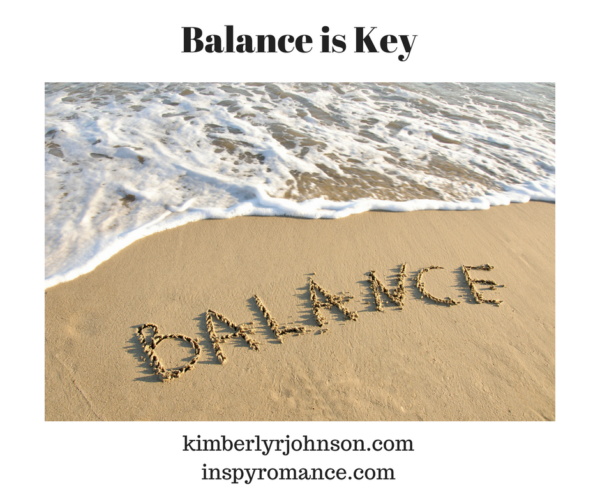 I have always touted that balance in all things is the key to a happy and healthy life. However, knowing that balance is key is only half of the equation. Acting on that knowledge is critical. This past fall I discovered I had a health issue that scared me into action. I was overweight, not active enough, ate all the wrong foods, didn’t relax enough, worked too hard, and stressed too much. Over time these habits had begun to create a devastating disease in my body. I didn’t know what to do, and my doctor was little to no help. Being the writer that I am I turned to Amazon. I discovered a book written by a doctor who specializes in helping his patients find good health again, and in turn, their disease progress was either stopped or reversed. I devoured that book. That book taught me what I should be eating, how to balance proteins with healthy carbs and when I should and should not be eating. It also emphasized the importance of exercise. I was scared enough, I dove into doing what this doctor said. My husband joined with me and together we embarked on a journey to good health. The key being balance. Like I mentioned before I like to think I have balance in my life, but that simply wasn’t true when it came to diet and exercise. I am an emotional eater. My journey to good health is a lifelong one that I can never stop, or I risk falling back into the same old habits. Guess what else. Good habits are contagious! Between my husband my youngest son and myself we’ve lost over 120 pounds. Our son came home to visit this past summer and said he’d eat what we ate so not to worry about making him anything special. He was home less than a week and lost seven pounds. He was so inspired that when he returned to his college campus he kept eating healthy and started exercising regularly. :) Oh, and he asked to take my newest book back with him to read. He’s never read one of my books. I think reading and good health go hand in hand, so long as we have balance. I’m giving away one audio book copy of A Love That Lasts. The winner will receive a coupon code that may only be redeemed on Audible. 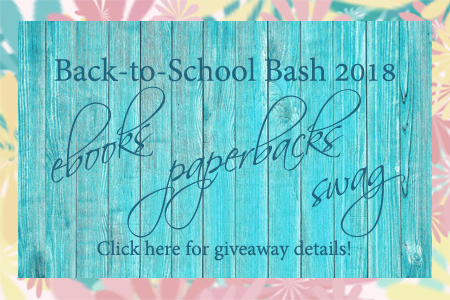 To be entered please tell me the name of the last contemporary romance book you listened to. If you have never listened to an audio book, please share what contemporary romance are you currently reading. Hi Kimberly- well done and congratulations! It is hard work changing habits! The only audio books I listen to are the kids books as we drive- not really contemporary romance there!! Last one I read-Freedoms Kiss by Sarah Monzon. I was sick at home last Thursday and lay on the couch and slept and read her new book. I hope you’re feeling better now Wemble! Hi Kimberly! Congrats on your new life style. Finding balance is not always easy in today’s world. I am not one to listen to audio books. Only listened to them in my literature classes. Last Contemporary Romance I read was Heart Healed by Alexa Verde. Lately I have been reading mysteries (cozy mystery by Hope Callagahan / romance mysteries by Alexa Verde – Dangerous Love boxed set). Presently reading non fiction, the biography of Albert Einstein by Walter Isaacson. Best wishes. When my boys were little we listened to Oddesy. I can’t recall the full name but they sure enjoyed it. I imagine your grandkids might enjoy them if they are still available. Congratulations! Healthy choices are challenging and maintaining those choices can be difficult. Glad you had the support of your family and that they saw the value of joining you in this lifestyle. Kudos to you for making the change! Having family support has made a huge difference! Congratulations!! Glad you had the support of your family and that they saw the value of joining you in this lifestyle. Kudos to you for making the change! My publisher is so busy the only way she can read for pleasure is by listening to a book when she is driving. Great post, Kimberly. I’m searching for that balance. Finding is the hard part. Yep it sure is. I hope you can find it. I just finished “And Something Blue” by Amelia Adams. It was great fun! THM for the win for me, too! I really, really like listening to ALL audio books by Leah Atwood and Valerie Comer over and over again. I’m in Butterflies on Breezes, Urban Farm Fresh Romance, Book 2, again. Yay! 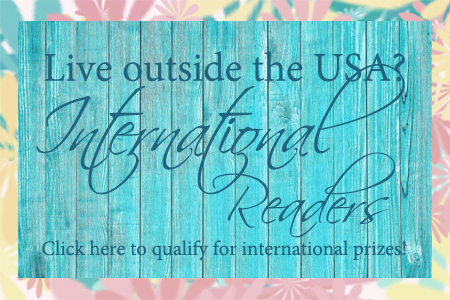 Are you a member of Audible’s romance package? My current “listen” is Hometown Girl by Courtney Walsh. It takes me a few weeks to get through an audiobook. Meanwhile I’ll have read several books on my Kindle! Just finished Marrying Chrissy by Melanie D Snitker last night. Well done and congratulations! I myself have migranes and running helps. I’ve almost become addicted to it. I hate migraines! I get them from gluten and a few other things. It never occurred to me that running could help. How do you manage to run when you have a migraine? They usually knock me flat and make me so incredibly sick. So glad to hear you were able to make lifestyle adjustments to improve your health! I have not listened to a contemporary romance however the last one I read was Elizabeth Maddrey’s Donuts & Daydreams. Good to know that reading is good for you – both for your mind and your body. I’ve never listened to a contemporary romance through an audio book. I usually listen to Christian Devotionals audio books. The last one I listened to was Looking for Lovely by Annie F. Downs and I loved it. 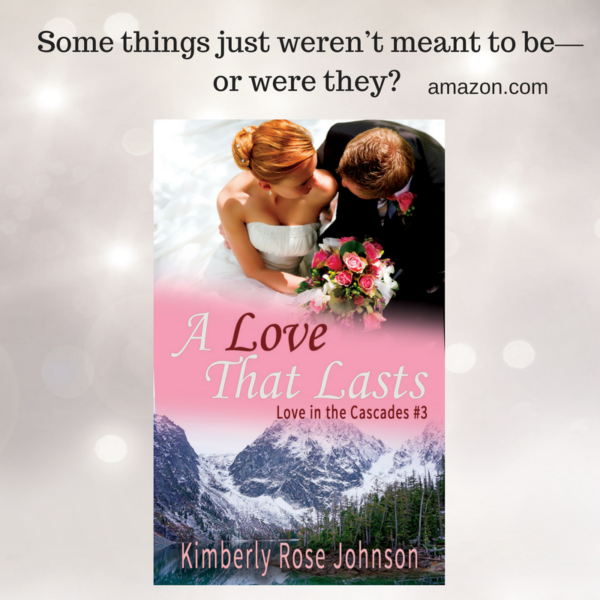 The last contemporary romance I read was The Last Summer by Brandy Bruce. I love reading and it does relax you. I used to listen to books when I commuted to work,not anymore I am retired. Hi, Linda! I hope you are enjoying retirement. Well done. It sounds like you have really been able to make some positive changes in your life. I can’t remember the last book I listened to but I am currently reading Know You More by Jan Thompson. Yes, Jessica, it’s been quite the journey. Happy reading! Hello! Can I ask what health book it was? It sounds so good! I don’t know why, but I tend to listen to historical even though I enjoy both historical and contemporary books. The last contemporary book that I finished reading was Things I Never Told You by Beth Vogt and I am almost done with Falling for You by Becky Wade. Hi, Katie! I don’t often listen to books, but I too have found that I listen to historical novels. I don’t read them often though. The book I was talking about is The Blood Sugar Solution by Mark Hyman, MD. I loved hearing your journey! I need to embark on this one myself……I developed arthritis in my knees this past year and that ground all activity to a halt for me, which then caused weight gain,,,,not much, but since I was already overweight, it sure didn’t help! Congrats, seriously, on the lifestyle change!! Thanks, Paula. I sorry about the arthritis! I have had arthritis since I was a teenager. In my early 20s I was in so much pain in my feet I went to the doctor and he had an x-ray taken that showed arthritis. I have it in lots of areas now and it really does make activity difficult at times. Love this post, Kimberly! The last book I listened to was “A Christmas Surprise” by you! Tried listening to one but couldn’t get through it. Just finished reading Christmas with the Cowboy by Tina Radcliffe. Such fun! Kimberly! I loved reading your journey. I embarked on one last year, August 1st-and it’s been so helpful. I can tell when I’m eating poorly. :) I’d love to know the name of the book you read. I don’t listen to audio books–I use podcast and listen to my fav pastors. But I still read a lot–I’ve been reading different genres, but I’m reading Homecoming in Christmas Falls by Ciara Knight. Thanks for sharing. Hi, Lindi! I’m glad you enjoyed the post. The name of the book is The Blood Sugar Solution by Mark Hyman, MD. I hope your journey is going well! Congratulations on your journey! Old habits are hard to change. I’ve never listened to a romance. Would like to, though. Thanks, Laura! It’s amazing what how seeing results and feeling better help break old habits. :) Happy reading! I’ve come to the conclusion that writing is bad for your health. I mean you have to sit at the computer to write. I tried fixing a shelf on my treadmill, but I can’t walk and write at the same time. In the summer I do good because I love to swim. But the winter is a challenge for me. I used to do aerobics, but my knees can’t take it anymore. I recently bought Body Groove, so I’m trying that this winter. Congrats on your healthy choices. Have never listen to the audio but I do love the paperback books . Congratulations !